Despite the momentous nature of the event, or perhaps because of it, the Washington Conference aroused strong emotions among naval men on both sides of the Atlantic. Many felt that it had managed to create more problems than it had solved. Apart from the dark mutterings about it being a bad bargain that ought not to have been accepted, opponents of the treaties claimed to find sufficient evidence, either in the decisions reached or those postponed, to regard the whole affair with serious misgivings. ‘Are We Ready?’ was the title given to a survey conducted by the General Board of the US Navy on 8 August 1939, classified as General Board 425, Serial 1868, cited by J. Major, ‘The Navy Plans for War 1937–1941’ in K. J. Hagan (ed. 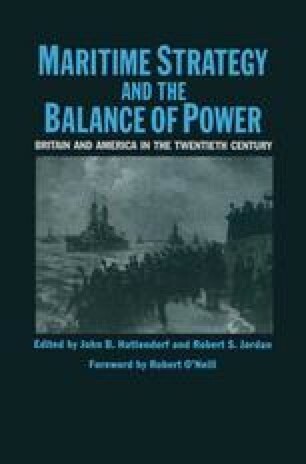 ), In Peace and War: Interpretations of American Naval History 1775–1978 (Westport, Conn., 1984) p. 247.